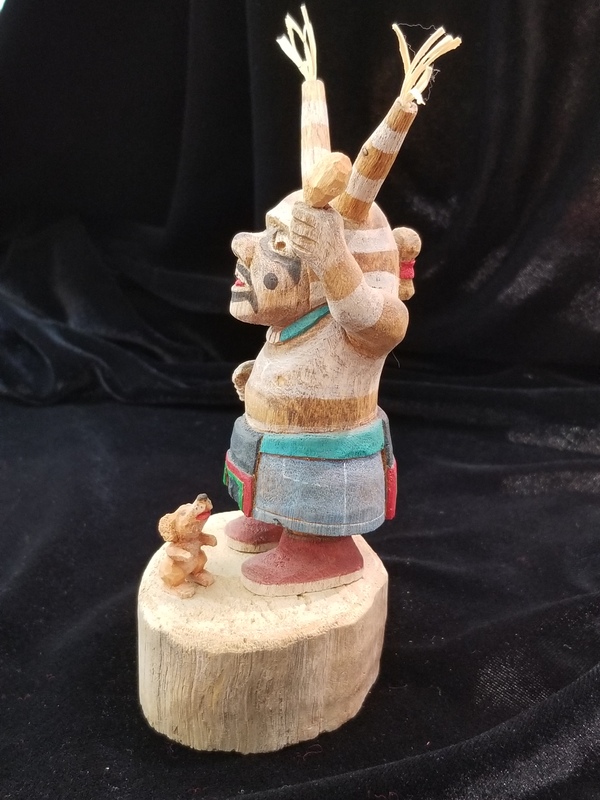 Hopi artist Ted Pavatea’s Koshare Clown Katsina (Kachina) doll is carved of cottonwood root. The Hopi people believe that Mother Earth’s spirit existd within the finished doll carving. 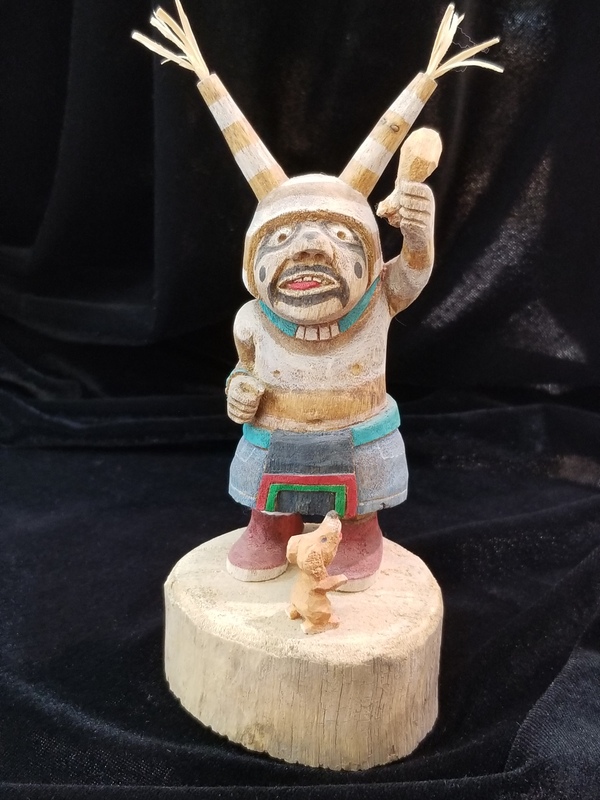 We carry a lot of other Kachinas. Call or e-mail for specific dolls, we will send pictures and prices! Hopi Ted Pavatea Koshare Clown Katsina is by Hopi artist Ted Pavatea from the Hopi reservation. 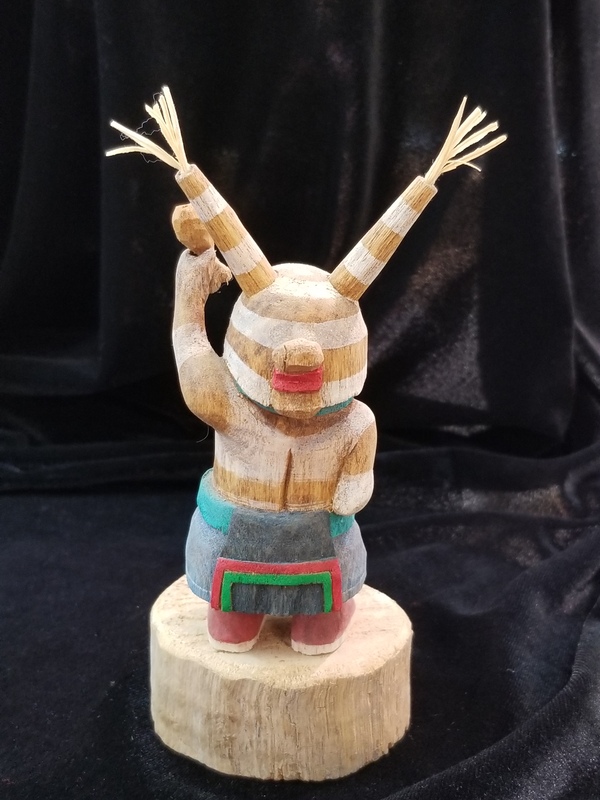 It is a Hopi tradition to carve these katsina dolls out of cottonwood root, believing that mother earth’s spirit existed within the Hopi doll.